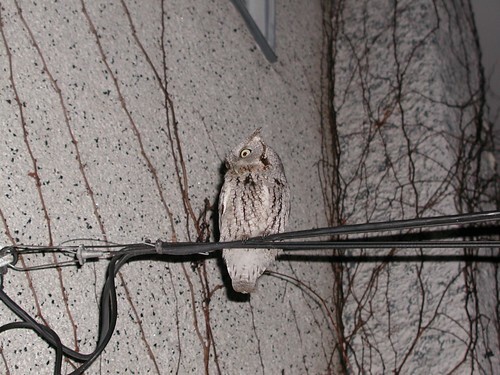 The owl was perched on the wires just outside our family room picture window. It had a perfect view of our budgie. 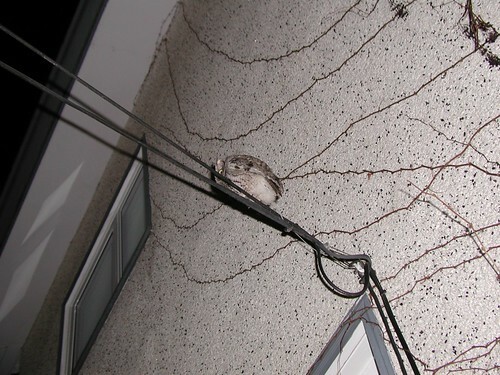 Mmmm... budgie. 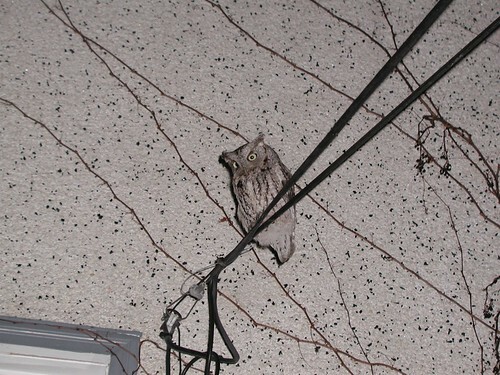 According to Dave Flight, it's an Eastern Screech Owl (gray morph). It didn't make any sounds when I saw it. 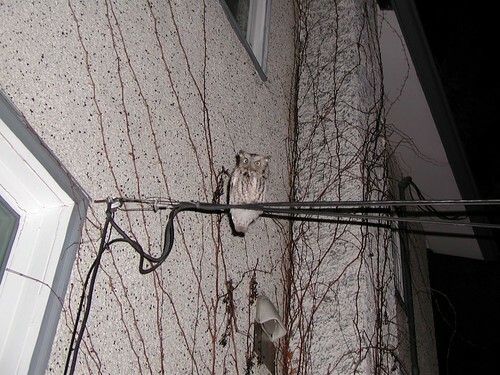 Not a peep, a hoot or a screech.